Since childhood, I have had to fend off persistent accusations that I am the child of bad Hindus. I would, periodically, forget that it was Diwali. My parents had raised us on a regional strain of Hinduism native to West Bengal. It mandated we celebrate Diwali simply, without calling attention to ourselves. We, in the New Jersey of the early aughts, would buy palm-sized, lilypad-shaped candles embedded with plastic jewels, their colors blazing shades of neon, from our local Subzi Mandi and put them outside our house on the steps as a way of greeting our departed ancestors. This was our minimalist method of observance for a holiday people, Indians and non-Indians alike, have long associated with organized fanfare—ah, yes, Diwali, the alleged Hindu “festival of lights,” as elaborate and eruptive as a number from Devdas. 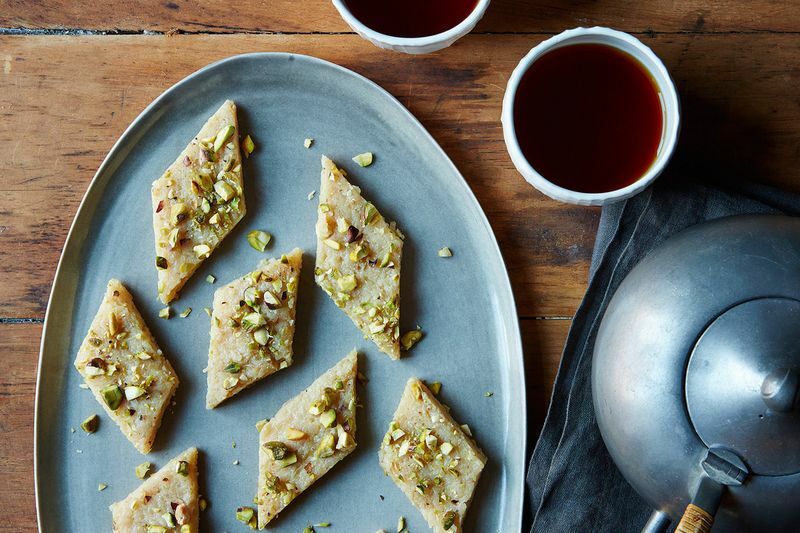 We would, too, harness Diwali into an excuse to eat Indian sweets—ones like kaju barfi. Some prefer laddoos, sweetened chickpeas plastered together and carefully shaped into spherical mounds; I’ve only liked laddoos when my mom makes them, because my palate conflates sentimental gratitude for her effort with the actual taste, which I’ve always found wanting. I’ve always preferred kaju barfi. We would buy them by the pound; we lived a five-minute drive from Oak Tree Road, the stretch of pavement bisecting Edison and Iselin, two enclaves for Indian immigration in the 1980s that grew to house a number of Indian sweet shops. These desserts are available year-round, but sales spike around holidays like Diwali. Some on this very website have likened kaju barfi’s make and consistency to fudge. I understand the need for a Western analog, but it’s more than that—fudge is too adipose and bulky. Kaju barfi is ground from soaked cashews that are mound into a paste and edged into diamond rhombuses; it is topped with vark, an edible silver foil that gives it the costume of an aluminum garnish. I do not emerge from eating kaju barfi feeling that I must mourn the impending loss of my teeth, or that I have grown a second stomach; its sweetness is satiating without being imposing. Circumstance—college—pulled me away from kaju barfi for a few years, and I missed it terribly. I would learn the hard way that Silicon Valley did not have an Oak Tree Road to call its own, part of the region’s many failings. I’ve since returned to the East Coast after college, and I now live in New York, a train ride and a transfer away from my parents. They have moved within New Jersey, too. My dad’s had to contend with a ballooning sickness for the past two and a half years, and treatment in New York City has forced my parents closer to his hospital and highways apart from Oak Tree Road. Kaju barfi’s out of easy reach for them, too. This is not to suggest that there’s a dearth of places that sell kaju barfi year-round in New York City—there are a few, mostly in Jackson Heights—but it’s not quite the same tearing into a box alone. This loss of kaju barfi is, in some perverse way, our family’s new chosen method of Diwali observance. Call us against tradition. We can revel in this shared gastronomical loss before we’ll have to contend with greater losses, the kind that call for lighting candles. Have you ever had kaju barfi? 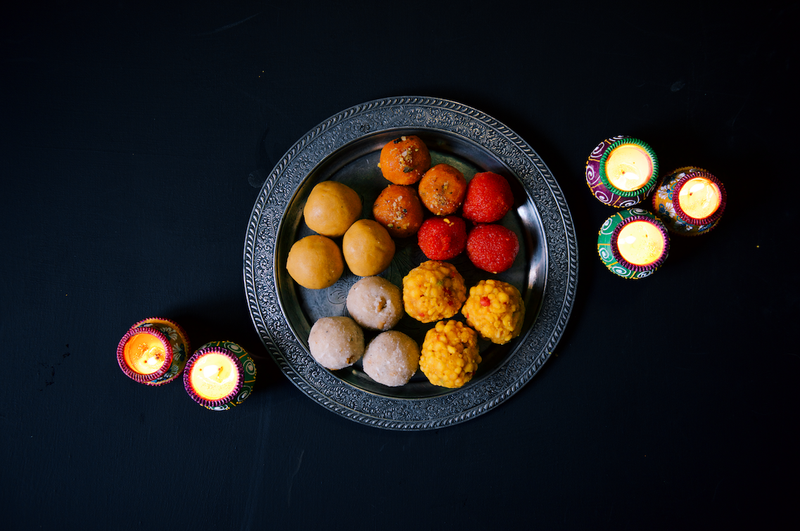 What’s your favorite Diwali dessert? Let us know in the comments! This article was written by Mayukh Sen from Food52 and was legally licensed through the NewsCred publisher network.